NHS England proposals to withdraw 17 NHS clinical procedures contradict existing guidance from NICE, the recognised authority advising clinicians on the current state of research evidence. 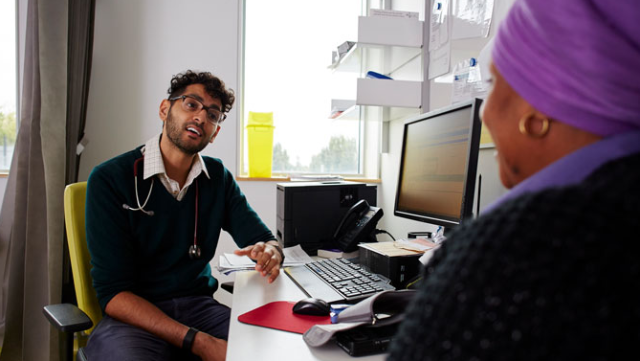 In a public consultation which closes on 28 September, NHSE asks for views on proposals to withdraw clinical procedures including hysterectomy for heavy menstrual bleeding, and removal of benign skin lesions unless complex criteria are met. The 103-page Consultation document gives the impression that the proposals are fully in line with NICE, whose logo appears on the cover, and that NICE was a source for the proposals. For nine procedures, NHSE does not cite any evidence from NICE. For one, the NICE evidence cited gives only partial support. Only for two procedures does the cited NICE evidence back the NHSE proposal. Some NICE guidance, not cited by NHSE, contradicts proposals and/or refers to relevant ongoing research. And in one case (intervention for snoring surgery [ref 3A]), NHSE is bypassing unfinished NICE guidance research with a cited publication date of August 2020. The proposals appear to derive from a 2009 report by McKinsey Corporation on how the NHS could respond to the banking crisis. “Existing NICE and other clinical guidelines are already cautious, conservative, thorough and periodically under clinical review. Clinical practice should change in response to proven research following systematic review, not pre-empt it. NHSE is bypassing unfinished research cited in NICE guidance. Clinicians should take decisions in discussion with patients without bureaucratic referral-blocking processes when guidance exists and is in practice already,” Dr O’Sullivan concludes. 3. The disparities, and occasional concurrence, of NHS England proposals and NICE evidence are as follows. A) snoring surgery: NHSE propose this procedure [surgery] should no longer be routinely commissioned. No support from NICE is cited by NHSE. However, NICE is currently preparing guidance on Sleep disordered breathing https://www.nice.org.uk/guidance/indevelopment/gid-ng10098 with Expected publication date: August 2020. Status: in development. B) Dilatation and curettage (D&C) for heavy menstrual bleeding in women: NHSE propose D&C should not be used for diagnosis or treatment for heavy menstrual bleeding. Cited NICE guidance https://www.nice.org.uk/guidance/ng88/chapter/Recommendations concurs re treatment, but re diagnosis says “Do not use dilatation and curettage alone [emphasis added] as a diagnostic tool for HMB”. This means D&C can be used in conjunction with other diagnostic tools. The NICE guidance, by contrast, says 1.1 Evidence on the safety and efficacy of arthroscopic knee washout with debridement for the treatment of osteoarthritis is adequate to support the use of this procedure provided that normal arrangements are in place for consent, audit and clinical governance. 1.2 Current evidence suggests that arthroscopic knee washout alone [emphasis added] should not be used as a treatment for osteoarthritis. D) Injections for nonspecific low back pain without sciatica: The NHSE proposal concurs with cited NICE guidance https://www.nice.org.uk/guidance/ng59 1.3.1 Do not offer spinal injections for managing low back pain. F) Removal of benign skin lesions: NHSE proposes a complex set of clinical diagnoses and criteria without which benign skin lesions will not be removed by the NHS. Suspected malignancies are not covered by the proposal, and should be treated or referred according to NICE skin cancer guidelines, NHSE states. The cited NICE guidelines https://www.nice.org.uk/guidance/csg8 and https://www.nice.org.uk/guidance/ng12 both concern dealing with suspected cancer, and do not refer to the exclusions proposed by NHSE for removal of benign skin lesions. The full guidance csg8 includes a pathway (p81) with a box “Benign, AK or in situ SCC – treat” – i.e. treat Benign skin lesions. H) Tonsillectomy for Recurrent Tonsillitis: NHSE propose a set of criteria for surgery for treatment of recurrent severe episodes of sore throat. No NICE guidance is cited. Also, as NHSE acknowledge, a national randomised control trial is under way comparing surgery versus conservative management for recurrent tonsillitis in adults. The NHSE proposal is being put out to consultation before the trial is completed. I) Haemorrhoid surgery: NHSE proposes that surgical treatment should only be considered for those that do not respond to specified non – operative measures or if the haemorrhoids are more severe, specifically: * Recurrent grade 3 or grade 4 combined internal/external haemorrhoids with persistent pain or bleeding; or * Irreducible and large external haemorrhoids. No NICE guidance is cited. However, the NICE clinical knowledge summary https://cks.nice.org.uk/haemorrhoids recommends referral to secondary care for further investigation and management for “People who do not respond to conservative treatment”, and “People with recurrent symptoms who do not respond to primary care management”. Surgery is listed as a secondary care option. J) Hysterectomy for heavy menstrual bleeding: NHSE proposes that hysterectomy should not be used as a first – line treatment solely for heavy menstrual bleeding. It is important that healthcare professionals understand what matters most to each woman and support her personal priorities and choices. Hysterectomy should be considered only when: other treatment options have failed, are contradicted; there is a wish for amenorrhoea (no periods); the woman (who has been fully informed) requests it; the woman no longer wishes to retain her uterus and fertility. NICE is not saying hysterectomy is only an option if all others have failed or are contradicted. NICE is detailing situations in which hysterectomy is one option, along with others. Despite this, NHSE claims their proposal is “based on NICE guidelines”. K) Chalazia removal: NHSE proposes criteria for the incision and curettage of chalazia. No NICE guidance is cited. However, a uncited NICE clinical knowledge summary https://cks.nice.org.uk/meibomian-cyst-chalazion is consistent with the proposal. L) Arthroscopic shoulder decompression for subacromial shoulder pain: No NICE guidance is cited. M) Carpal tunnel syndrome release: No NICE guidance is cited. which concerns needle fasciotomy as a viable procedure, alternative to surgery. The NICE guidance cited does not evaluate surgery, but their evidence says surgery is usually indicated for individuals who have a significant functional disability. A NICE information leaflet quotes an expert in favour of the long term impact of open surgery. O) Ganglion excision: NHSE proposes criteria for ganglion excision. No NICE guidance is cited. P) Trigger finger release: NHSE proposes that surgery should be only performed in specific cases where alternative measures have not been successful. No NICE guidance is cited. Whilst the GDG [Guidance Development Group] were keen to not be seen to make a recommendation about cosmetic surgery on the NHS, they were apprehensive about making a judgement on the impact of cosmetic concerns on the individual. They felt that the impact that symptomatic varicose veins has on the quality of a patient’s life should be explored individually when deciding the best course of action.